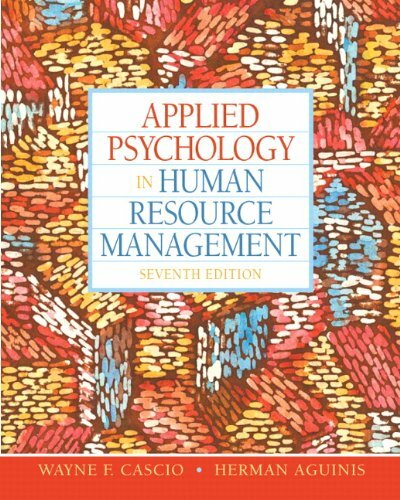 136090958 -Psychological theories, complete with tools and methods, for dealing with human resource issues. Interdisciplinary and research-based in approach, Applied Psychology in Human Resource Management integrates psychological theory with tools and methods for dealing with human resource problems in organizations and for making organizations more effective and more satisfying places to work. The seventh edition reflects the state of the art in personnel psychology and dramatic changes that have recently characterized the field, and outlines a forward-looking, progressive model toward which HR specialists should aim.